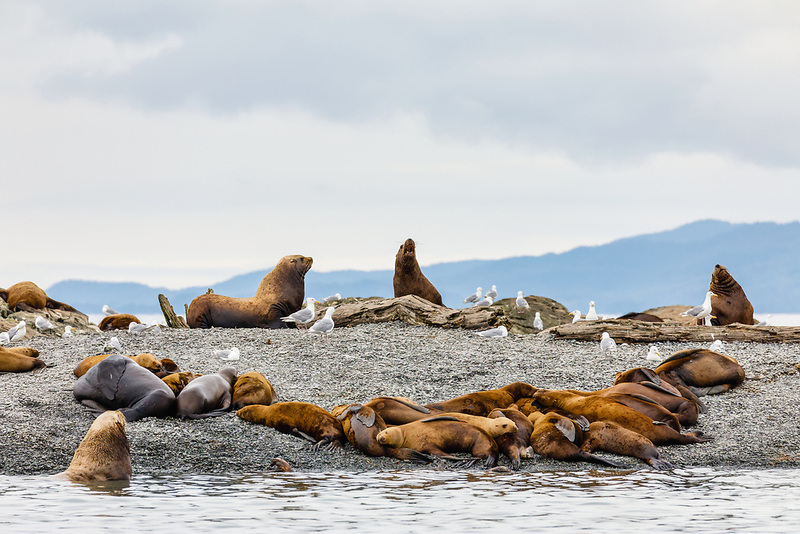 Steller Sea Lions (Eumetopias jubatus) hauled out on an island in the Dutch Group in Prince William Sound in Southcentral Alaska. Summer. Afternoon.